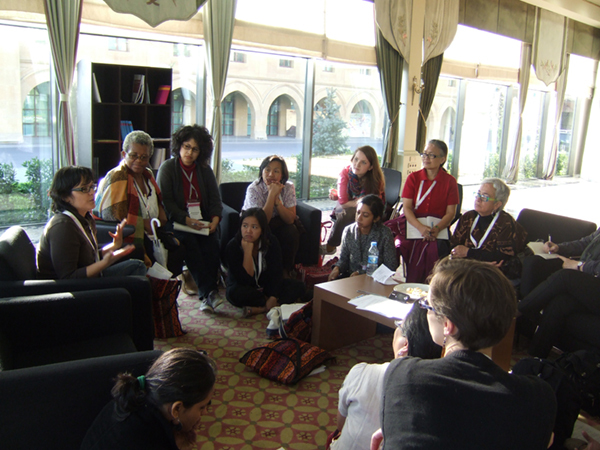 "The Gift Economy: Feminist Alternative to an Exchange Economy"
Many thanks to Angela Miles for leading and organizing the workshop on the gift economy at the Association for Women in Development conference in Turkey last week and for these photos. Angela succeeded in publicizing the session even though the info about it did not make it into the program. 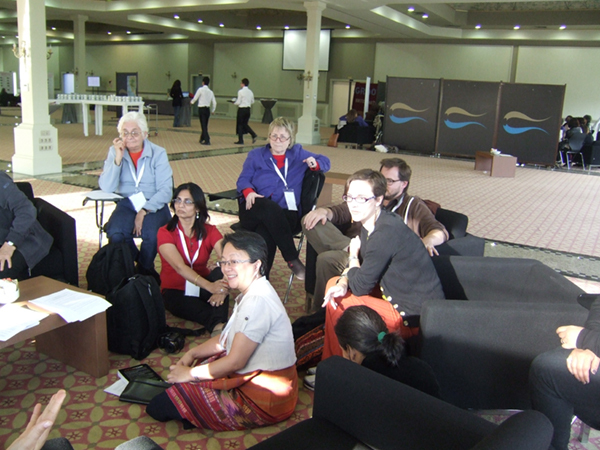 Some old friends came but also many women who had not heard about the gift economy before. 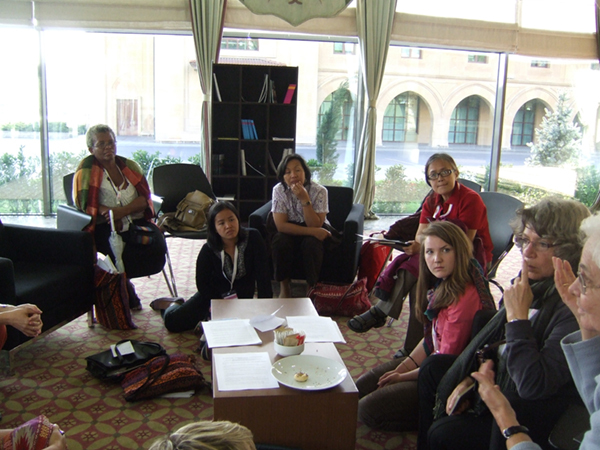 Lets hope that at the next AWID meeting International Feminists for a Gift Economy will have a larger official session.